Marion O'Connor is a Consultant Dietician at Circle Reading Hospital in Berkshire. She has worked within the NHS and private health care for over ten years. During this time she has worked within many clinical specialities. Her main area of clinical expertise is within gastroenterology, surgery, intestinal failure and intestinal transplant. For the past five years she has been the UK Lead Dietician for Intestinal Transplant at the Oxford Transplant Centre. The Oxford Transplant Centre is one of two intestinal transplant centres in the UK. The role provided a highly specialist service to patients with intestinal failure who have had, or are considering an intestinal transplant. It involved working with intestinal failure and intestinal transplant experts both nationally and internationally. Marion's role was to assess and provide reliable, evidence based advice on managing the nutritional aspects of intestinal failure and intestinal transplant. It also involved training, education, research and presentations at national and international meetings. During this time she was also the Dietetics team leader for the Intestinal Failure and Intravenous nutrition (TPN) team at Oxford University Hospitals NHS Trust. Marion has run a successful private practice from The Manor Hospital, Oxford for over ten years and also provides advice and seminars to Industry. She offers clinical advice on the following: IBS, ulcerative colitis, Crohn’s disease, coeliac disease, intestinal failure, diverticulitis, diarrhoea, constipation, bloating, weight loss, weight gain, diabetes, PCOS, high blood pressure, nutrition support pre and post-surgery, enteral or parenteral nutrition support. Marion works closely with the colorectal surgeons and specialist nurses as a member of the Oxford Pelvic Floor Service. 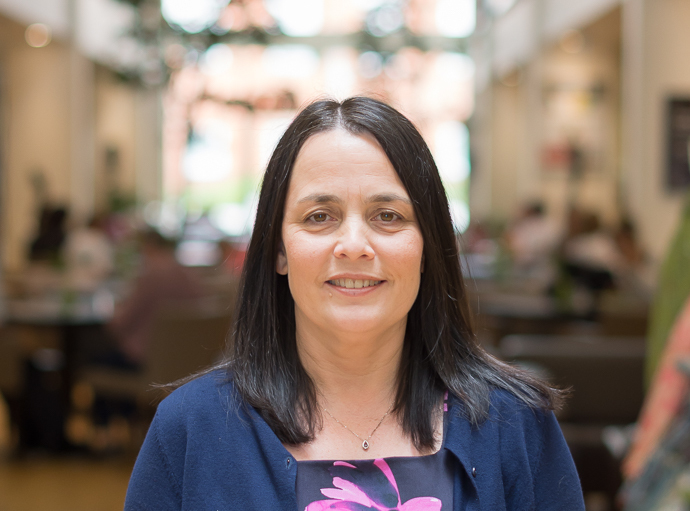 She has achieved the following qualifications: BSc in Physiology (Hons) from National University of Ireland Galway, Pg Dip in Human Nutrition & Dietetics from University of Ulster Coleraine and MSc Human Nutrition & Dietetics from University of Ulster Coleraine. Consultant Dietitian at Circle Reading Hospital. Irritable bowel syndrome (IBS), ulcerative colitis, Crohn’s disease, coeliac disease, intestinal failure, diverticulitis, diarrhoea, constipation, bloating, small intestinal bacterial overgrowth (SIBO), weight loss, weight gain, diabetes, PCOS, high blood pressure, nutrition support pre and post surgery, enteral or parenteral nutrition support, osteoporosis and bone health, intolerances or allergies.